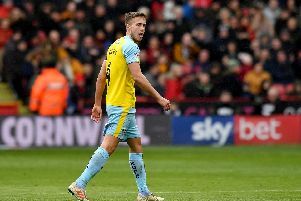 Paul Warne thought Will Vaulks' red card in his side's South Yorkshire derby defeat to Sheffield United was harsh, but he understood why referee Geoff Eltringham sent him off. Vaulks saw red in the 28th minute of the 2-0 defeat at Bramall Lane for a rash challenge on George Baldock as he tried to stop a quick Blades break. The Millers were trailing to Jack O'Connell's early opener when Eltringham brandished red, with Mark Duffy adding a second on what turned out to be a damaging day in the quest for Championship survival. Warne believes Vaulks' exuberance gave the referee license to send the midfielder off, but reckons he ruined the game. “Will gives the ball away and he's keen to get it back,” Warne said. “He's gone to ground. I thought the red card was on the side of harsh. I thought it was a strong yellow. But then I'm obviously biased, aren't I? “I might change my opinion when I have seen it. I know referees have to give out red cards but it spoiled the game. “We’re not a dirty team. I think Will is just really competitive, he plays with his heart on his sleeve and that’s why he is so good for us. Vaulks apologised after the match, admitting that he “killed” his team-mates. “Absolutely devastated, worst I’ve ever felt after a football game,” he said on Twitter. “1st red card of my career in a game like that. I’ve killed the lads and can’t apologise enough. 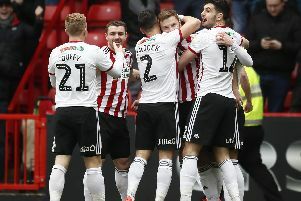 The defeat at Bramall Lane was no real surprise given the Blades' assault towards the Premier League, but it did end a six-game unbeaten run. A bad day then got even worse as Reading won to move clear above them, with Bolton and Ipswich below them in the bottom three also picking up points. “I knew they would start really strong and they did, they got the goal and it was a good finish but then I thought we were in the ascendancy,” Warne added of his side's loss. “It took the handbrake off our lads, they were giving a good go but obviously the sending off is a massive turning point. “We came out second with a bit more damage limitation but then they scored another great goal.